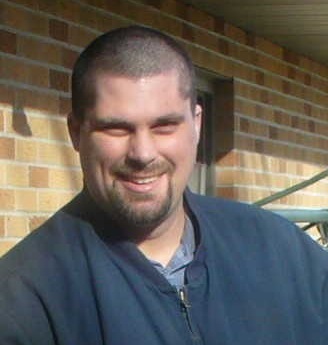 Funeral services for Moriah "Mo" Vavra, 42, of Norfolk will be 10:30 a.m., Tuesday, April 2, 2019, at Christ Lutheran Church, Norfolk: Reverend David Goehmann will officiate. Visitation will be Monday from 4-7 p.m. at Home for Funerals Chapel, 708 Georgia Ave, Norfolk, Nebraska. Mo died Friday, March 29, 2019..
On November 18, 2000, he was united in marriage to Jennifer Carretto at Bethlehem Lutheran Church of Crete, NE by Pastor Carretto. From this union, two children were born, Kalina and Loel. Mo attended and graduated from Crete High School and graduated from Southeast Community College at Milford, NE with a BA degree. Mo was a heavy equipment mechanic, who was very talented in all he did. Mo is survived by his wife of 18 years, Jennifer and their two children, Kalina and Loel; his parents, Joel and Elaine Vavra of Crete, Nebraska; one brother, Gabriel; also, four sisters Grace (Hector) Quineero; Janna Vavra; Hoshanna (Jason) Gropp and daughter Abbi; Japhia (James) Warren and their children, Kamdyn, Kypton and Keagyn. He was preceded in death by his grandparents, Leslie and Evelyn Vavra; Bernard and Ruth (Susie) Miller. In lieu of flowers memorials are suggested to the family for later designation.